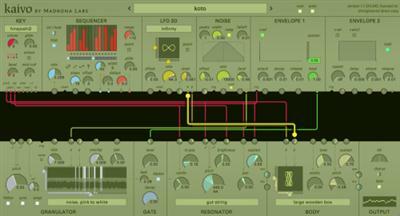 Kaivo is a semi-modular software synthesizer that combines two powerful ways of making sound: granular synthesis and physical modeling. Click to download the plugin, patches, and samples. 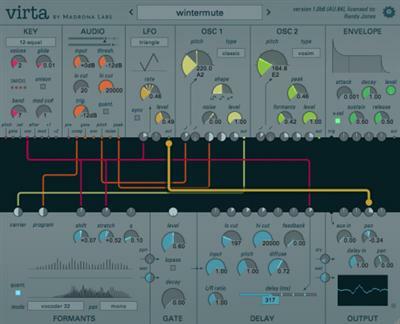 Aalto is a semi-modular software synthesizer with an innovative, customizable user interface, distinctive sounds and charming personality. The Aalto sound engine allows you to create sounds that have been difficult or impossible to make using other software synthesizers so far. Aalto's heart is a complex oscillator, inspired by the Buchla hardware, with FM, timbres and waveform controls that provide a wide range of expressive sounds. These sounds are uniquely malleable and lively, in part because they are made by dynamic computation, not static waves.